ST. LOUIS, July 24, 2017– Tiki Pets ®, leader of gourmet whole foods for pets, announced today the addition of Tiki Cat® Stix™ and Dash ™, healthy, indulgent treats and toppers for cats. Minimally-processed treats, especially for cats, continue to provide a growth opportunity for the pet industry. “It’s important to the Tiki Cat nutritional philosophy to provide healthy, indulgent options for all cats. 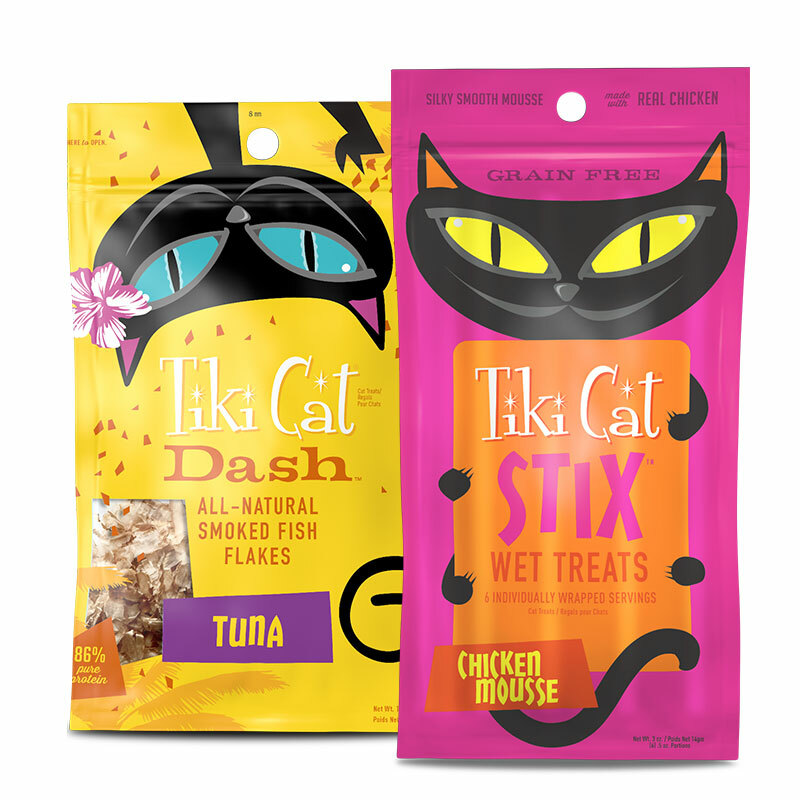 Tiki Cat Stix and Dash treats are the perfect addition to our wide range of formats and flavors, while embracing our meat-first philosophy,” said Olivier Amice, CEO of Whitebridge Pet Brands, the maker of Tiki Cat. Tiki Cat Stix are a Protein-rich treat with real, high-quality chicken or tuna that can be served as a treat or on top of dry food for a boost of flavor and moisture. These individual servings are perfect for portion control and storage. Tiki Cat Dash is 100% fresh-caught tuna or mackerel bonito-style flakes, hand-flaked and naturally smoked, and can be added to wet or dry food for a boost of flavor.